by Sarina Farb. * This guest blog originally appeared at JoAnnFarb.com and Eccorazzi. As a 23-year-old lifelong vegan whose parents “forced their beliefs” on me as a small child, I have a lot to say on this topic. The idea that parents shouldn’t “force” their ethical and moral beliefs on their children is ridiculous, because society itself is not values-neutral. The notion of letting children choose for themselves whether they want to be vegan or not presents a scenario in which veganism is viewed as supporting ridiculous and extreme values backed by propaganda. Then, the default of non-veganism is viewed as “the norm.” Big business, industry, and advertisers, create and reinforce this non-vegan norm on a regular basis, and it is anything but values neutral. TV Commercials for cheeseburgers, roadside billboards for zoos, and Got Milk ads in magazines and school cafeterias all convey that animals are things and commodities for human use. Similar to when an individual holds the moral belief that racism is wrong and that we shouldn’t discriminate or exploit other humans based on their skin colour, vegans reject the notion that animals are ours to use or exploit simply because they are a different species. The same can be said for being morally opposed to sexism. When the choice between veganism and non-veganism is reframed in this way, it becomes clear that veganism is no more a choice than being against slavery, murder, and human exploitation is. The idea of vegan parents letting their children choose to go vegan on their own is similar to thinking children can choose to become anti-racist on their own, without being given an education on what racism is or why it’s awful. If vegan parents don’t “force” (the word terribly used in place of educate) their vegan values and beliefs on their children, society won’t hesitate to “force” standard American values instead. And without a parent’s vegan perspective to counter the dominant mainstream forces, non-veganism may remain unchallenged and children will be more susceptible to falling prey to the influence and perspective of industry and big business. *Sarina Farb is a recent graduate of Grinnell College, where she received degrees in both biochemistry and policy studies. 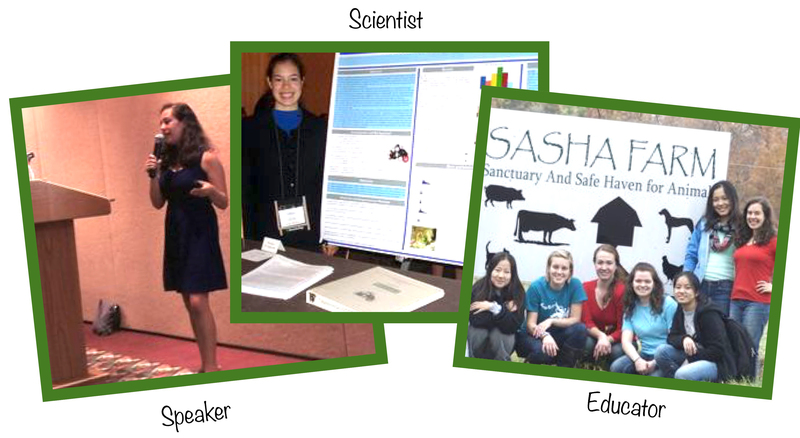 Follow her blog and learn more at her website, Born Vegan. 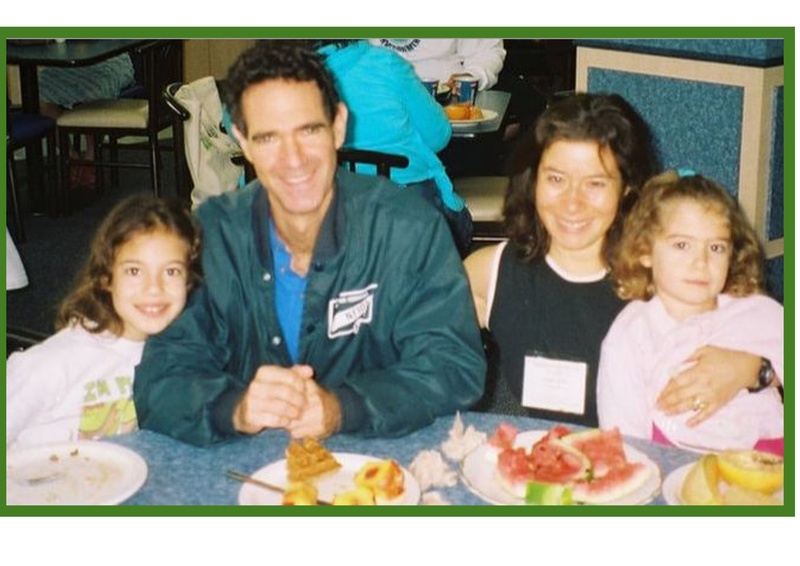 Vegan Nation with Marlene Narrow recently interviewed Sarina and her mom. You can listen here. Fantastic and inspiring. My parents were so loving and did their best, yet I was raised on the SAD diet. It took me many years as an adult to “wake up” and go vegan. What wonderful parents you have!